All the stars were out during the Winter 19 All-Star Night, but one seemed to shine just a bit brighter than the rest. 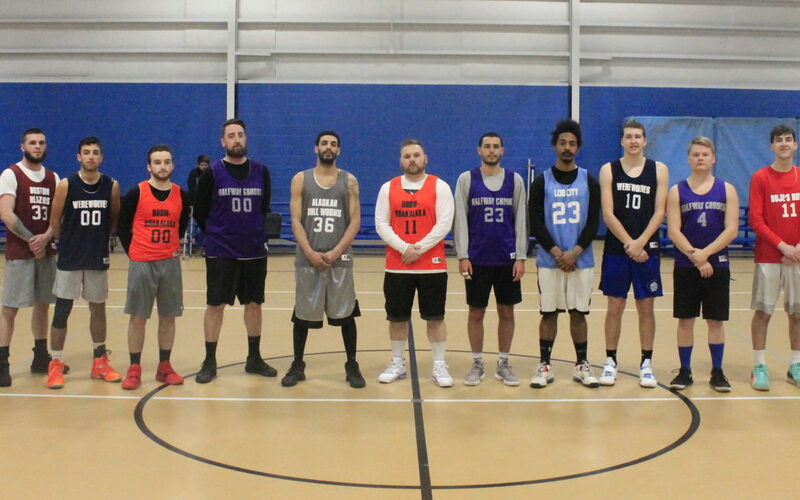 After leading the league in total points, steals, and rebounds, John Coutu continued his dominance in the All-Star Game, leading his very own Team Coutu to a 136-116 victory over Team Strickland. Coutu finished with 40 points, leading all scorers, and led the game with 17 rebounds and nine assists as well. He was impressive, to say the least, and his team cruised to victory in a game that’s always more about a good time than a win. He played like one, too- but he wasn’t the only one. The rest of Team Coutu cashed in some dominant performances, as well. Victor Kashouh Jr. scored 37 points with eight boards and six assists, while Brett Cody and Brian Heston had 26 and 22 points, respectively. Cody was also able to pull down 10 rebounds, and he and Kashouh Jr. were unstoppable in the paint. Team Strickland gave up a 2-point lead after the first quarter and trailed for the rest of the game. Despite the loss, they had some impressive performances on their end, too. Matt Barber, Lucas Martin, and Corey Strickland each added 30 points, while Gino Forte and Dylan Lincoln had 15 and 11, respectively. Both teams were in good spirits following the game, and Coutu even started the conversation about the Summer 2019 season.